When in doubt, bling it out! There are booties, and there are ‘booties’. Before you reach for your phone and call out “discrimination”, just bear in mind we’re talking about what’s on your feet, not your behind. 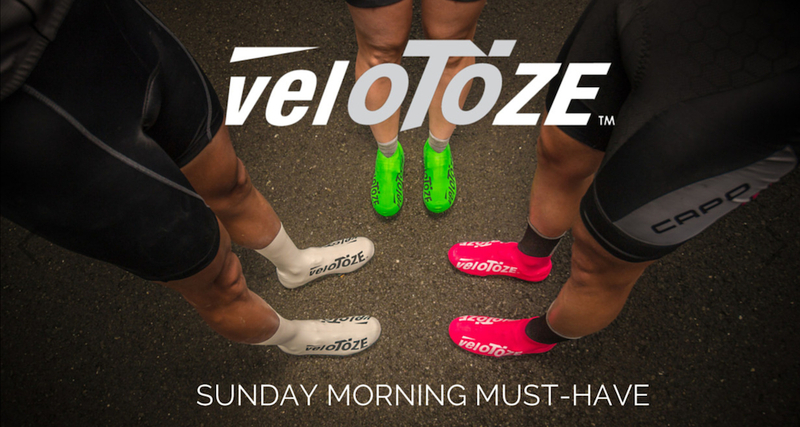 Velotoze is a new kind of bootie. Firstly, there’s no zip, nor velcro in sight. It’s a one-piece, slip on and slip off cover that comes in all the most fashionable colours. Alas, the size we need in team colours – red, is currently out of stock, but we’ve been in comms with the Velotoze Team, and not only will they be restocking, but they inform us that a UK distributor will supplying them to your LBS. We do hope it will be soon. Additionally, we’re happy to hear that they can also do custom designs. 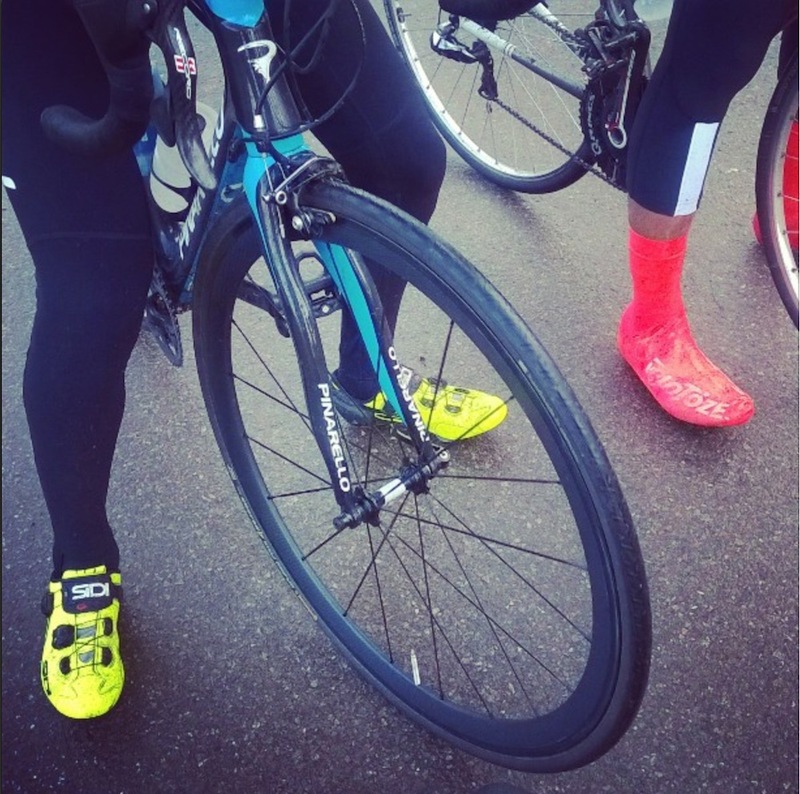 The club does not have any involvement with Velotoze. We simply like the idea.